Upon further inspection, it seems not all of the downloads at banana-pi.org are broken. I still want to use my bpi, so this morning I went back to the downloads page to see if they had fixed the problem but not bothered to reply to my email. Turns out I was able to ge Mobius and Raspbian, but many of the other downloads are still broken. Maybe they don't care. Anyways, in the meantime I have a few OS's I can try out on it. In addition to these it is important to note that if you have anything less than a 12V2A power cord, you are likely to run in to boot problems and/or the inability to power even the smallest of USB peripherals such as wifi adpater or even flash drive. The moment you go looking for any kind of support to explain why you're having problems you'll very likely be instructed to go buy another power adapter. You'll also want to buy extra [Micro]SD cards for your pi, because it is bound to fry one. Especially if you have a model stupid enough to have the SD card hanging half off the board Yeah, that'll last a long time. In short, by the time you are turning your rpi on, don't be surprised if you have spent closer to $100. Having said all that, I bought me a Banana Pi M1. 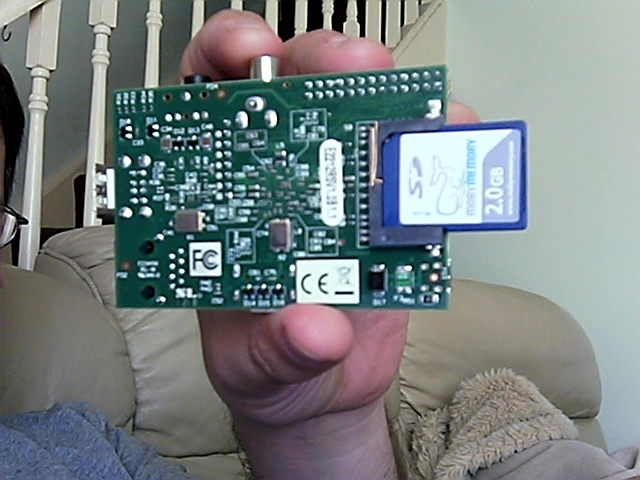 It is kind of like a Raspberry Pi, except I liked the sound of two main improvements. It has a SATA connector and it has gigabit ethernet. I tried using it as a home server for a while and in fact was able to use it as a samba share, asterisk box, backup (rsync) machine, DNS/DHCP/NTP server, qbittorrent-nox client, and probably a couple other things I am forgetting. It worked pretty well but eventually I found it getting slow when streaming video from it, so I switched it out for an old HP SFF desktop.